The following are links to technical and reference documents from related organizations, which may be of interest to CGS members and other geotechnical professionals. 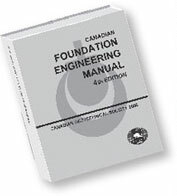 Because the Canadian Geotechnical Society has not reviewed these documents, it does not warrant the accuracy or completeness of the information and readers are advised to exercise their professional judgement when using them. If you know of other documents that should be considered for this web page, contact the CGS National Office at cgs@cgs.ca.